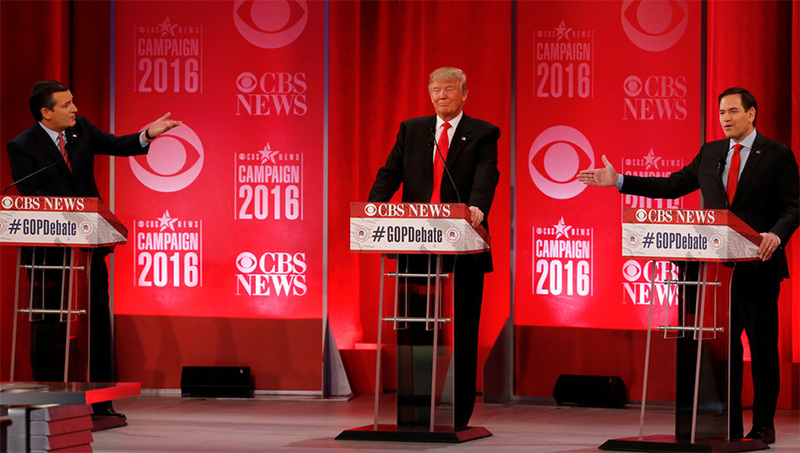 The Republican Party held another debate Saturday night, giving CBS the highest rated meeting of 2016. 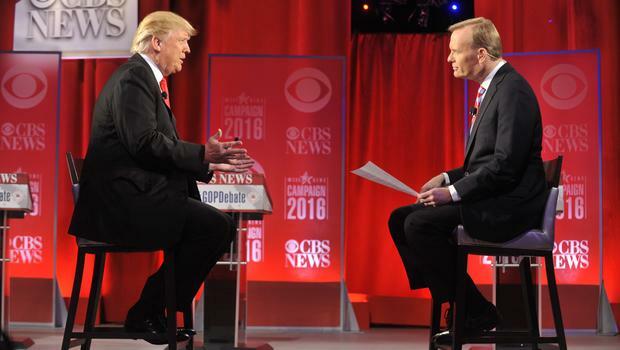 The debate, which left many pundits speechless afterwords, was hosted by the Peace Center in Greenville, South Carolina with John Dickerson as moderator. 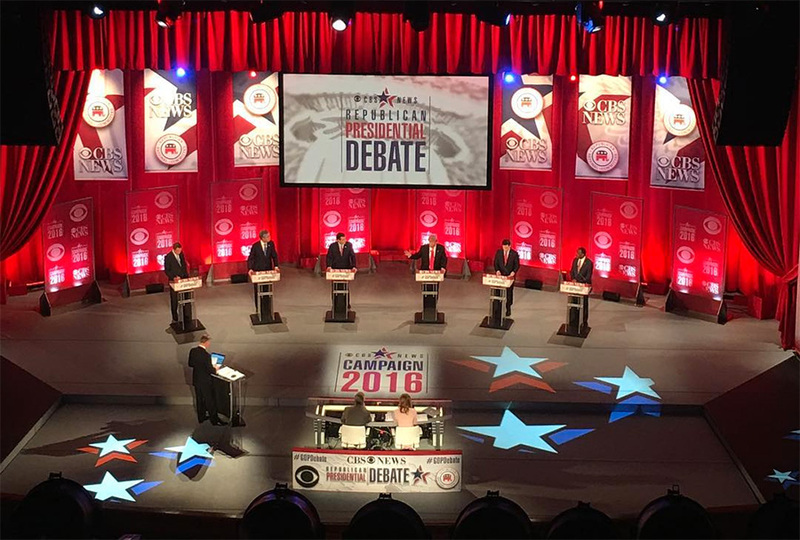 Unlike its previous debate in November, CBS dropped the LED screens in favor of uplit plexiglass panels and the stages red curtain. Some on Twitter said it was very fitting for Valentines Day, with lots of red. CBS once again used the former “Early Show” desk for the extra questioners, with Dickerson behind a curved standing desk. The setup was also used on Sunday during “Face the Nation,” as Dickerson remained in South Carolina to anchor the broadcast. Graphically, the debate mirrored the previous contest on CBS for the Democrats.